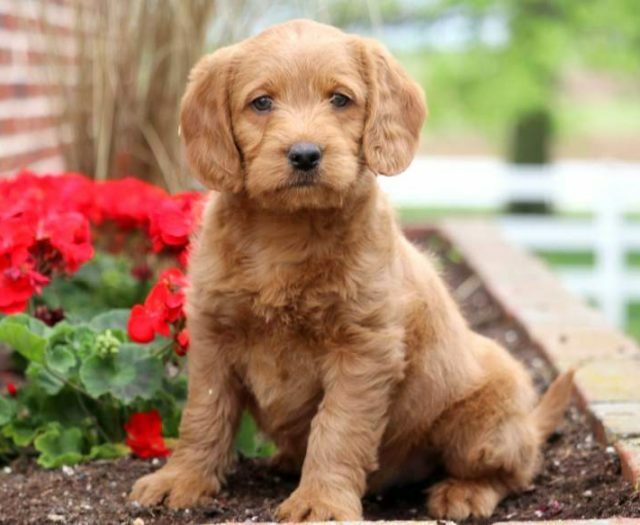 The Toy Labradoodle is a designer breed created through the cross of the F1b Mini Labradoodle and the Toy Poodle. 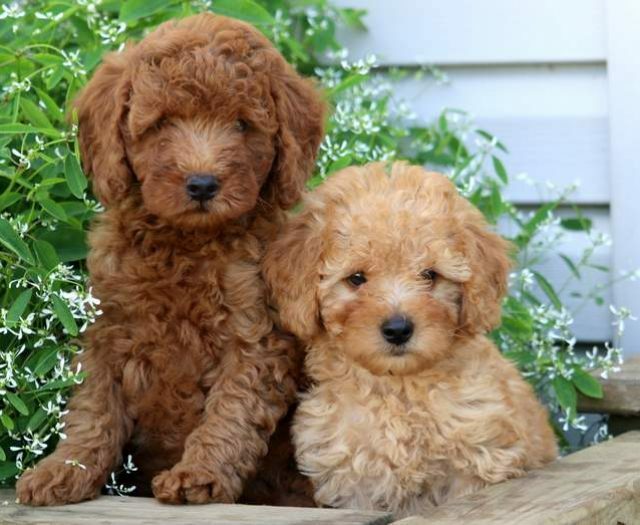 The Toy Labradoodles are generally more curly and have an even better chance to be hypoallergenic. Color: The most predominant color seen today is the apricot or cream colors. Other colors are red, chocolate, black or other. 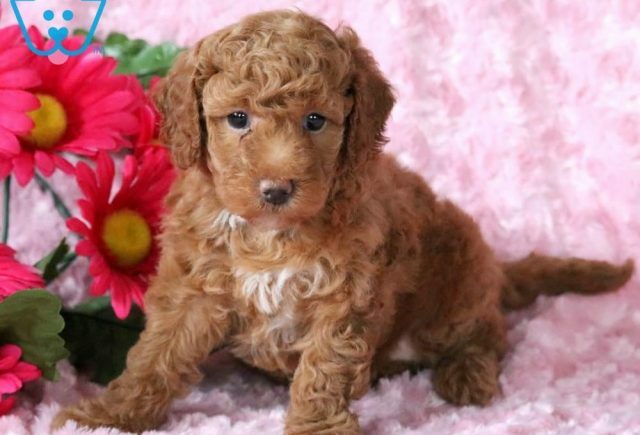 The Toy Labradoodle is intelligent, active and fun loving. They generally love the outdoors and enjoy playing fetch with their owners. 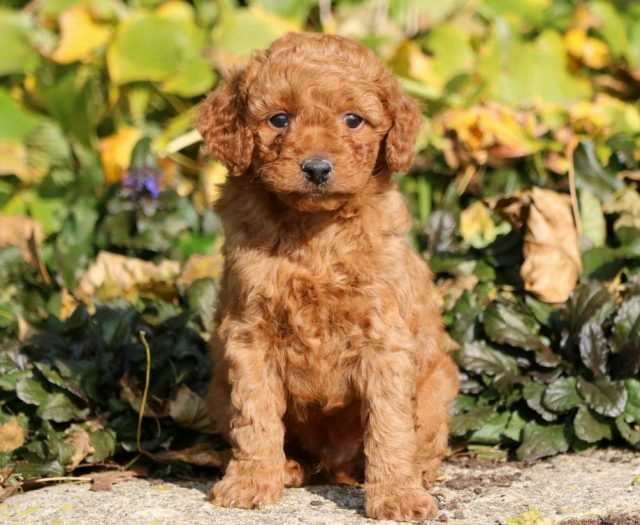 Toy Labradoodles are easily trainable. 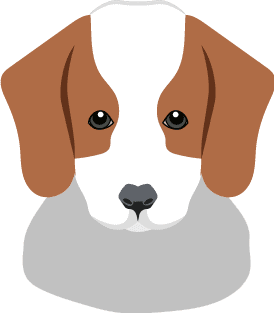 This designer breed loves affection and does well with children & other dogs. All mixed breed dogs have a better chance of having less health concerns because of their genetic diversity. 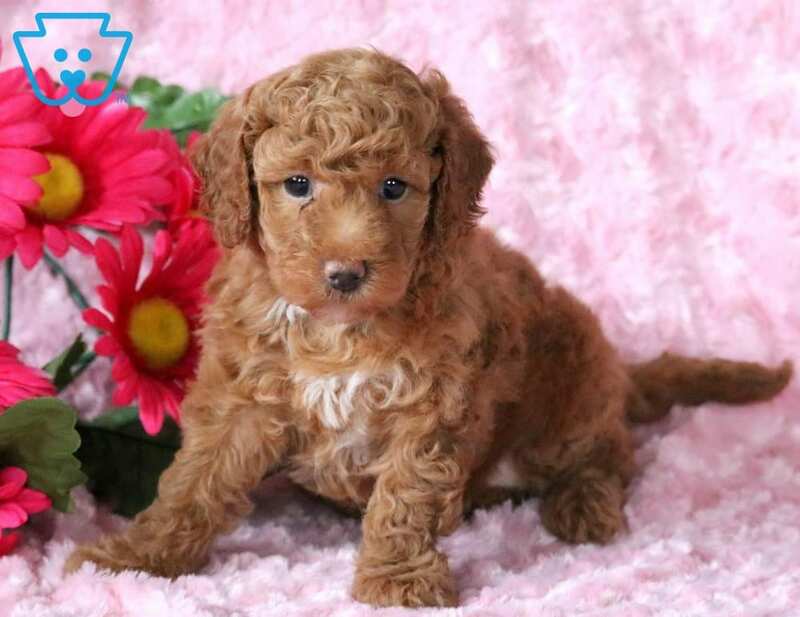 Their coats can be curly & non-shedding, similar to the Poodle. They can also be short, dense & sometimes harsh in texture. Brushing 2 – 3 times weekly will help prevent tangling & matting. If the Toy Labradoodle has predominant Lab features, they will tend to shed a little. Brushing more frequent during those times will help maintain a healthy coat.